In my travel life, the United Kingdom was the second place I visited - the first stop on a three-week European trip after college. It’s where I had my first “real” gin and tonic with Tanqueary rather than crappy well gin and the first time I experienced driving on crazy, winding, easy to drop off roads during a day trip to Wales. I loved that first real taste of life outside the US. Finishing up Red Dust Road in my regular reading spot. The country list I’m using to guide this project is based on the UN Member list, which means England, Scotland, Northern Ireland and Wales are all encompassed in the UK. There were so many books I could have chosen for the UK and an abundance by English authors. I’ve read a few books by English women in the past so I wanted to branch out and read something from another country. 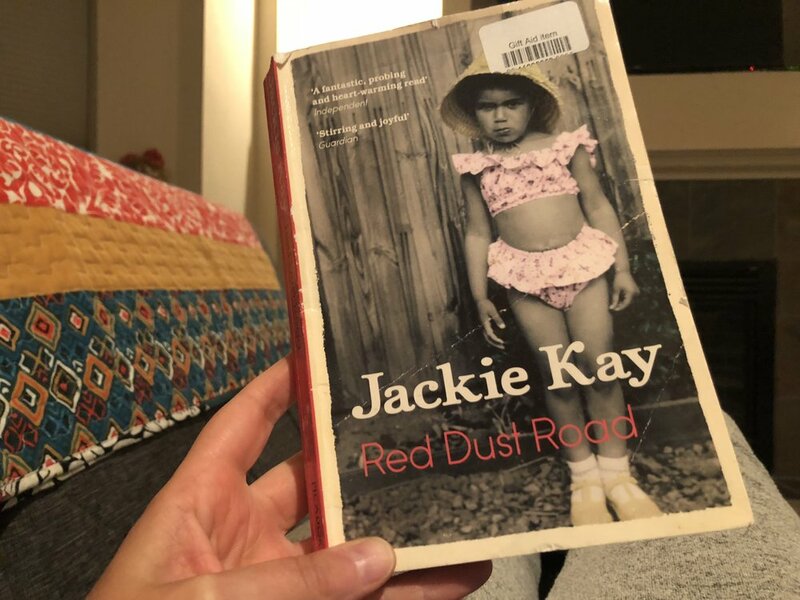 I discovered Jackie Kay and her memoir Red Dust Road after going down a Women in Translation rabbit hole on the internet. I stumbled across this blog post and was interested in learning more about this Scottish-Nigerian, adopted woman telling the story of meeting her birth parents and trying to discover more of them and herself. Kay’s memoir is written in a conversational tone and I felt like I was having tea together as she told me her life story. Kay was adopted by a white Scottish couple who seemed like the most generous and kind parents you could hope choose you. Her stories of finding and meeting her birth mother alternate between tender and sad while the meeting of her birth father are both comical and depressing. She often says that no one can live two lives - only one - and this is a book about her search for having just one. Reading this book gave me a taste of Scotland and Nigeria and one and I’m really happy I chose it as my UK selection.